This is a response to comments in the house by Messrs. Huhne and Hendry which defy belief. They obviously only listen to their little circle. I refer to comments that you made in Parliament on the 12th July 2011 and also Charles Hendry on 22nd June 2011 and 18th & 19th July 2011. 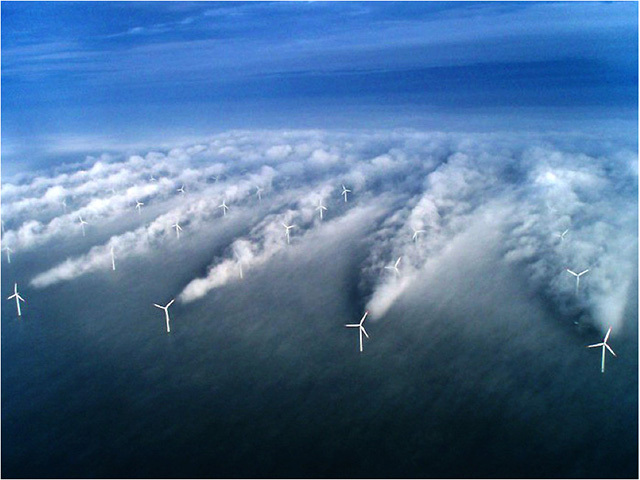 ‘The indicative maximum noise level of a wind farm at 350 metres (1,150 feet) is usually roughly comparable to the sound of leaves rustling in a gentle breeze. The method of assessing the noise impact of a wind farm locally is described in ‘The assessment and rating of noise from wind farms’, ETSU-R-97, by the Working Group on Noise from Wind Turbines for the Department of Trade and Industry. We have no plans to change the noise limits that ETSU-R-97 recommends, and will shortly publish a report which investigates matters arising in the consideration of noise impacts in the determination of wind farm planning applications in England’. I would question where Mr Hendry gets his information from. To state in parliament the ‘indicative maximum noise level of a wind farm at 350m is roughly comparable to the sound of leaves rustling in a gentle breeze’ is at best misinformed at worse incredibly stupid. The descriptions I have read and heard of are sounds like a helicopter that never lands, a train that never arrives and a boot going around in a washing machine – all of which were wind farms considerably further away than 350m. How do you define a wind farm out of interest? More than one turbine? More than 5? More than 20? How big are these turbines you refer to? My point being to say this about a ‘wind farm’ without defining the number or size of the turbines is totally pointless and gives the listener/reader, who may have no experience of wind farms, completely the wrong impression. Mr Hendry also says there are ‘no plans to change the noise limits that ETSU-R-97 recommends’. May I ask why? The clue is in the title ETSU-R-97 – a recommendation produced in 1997, 14 years ago. The size of turbine has doubled in size since then, in some instances – some higher than the London Eye. Surely even a layman can understand larger machinery in all probability means more noise. Coupled with the fact there is NO legislation for maintenance procedure once these things are up. So bearings and other components that become noisier with age are not necessarily replaced in a timely manner. Poor residents who have the misfortune to live near them. There is also growing concerns that wind farms should not be built within 10km of residents – concerns that have been forwarded to all MPs recently. Mr Hendry also stated on 18th July 2011 when asked a question by Simon Hart who was trying to establish, or so it seemed, an answer as to the impact wind farm developments had on birds and wildlife. Each wind farm developer is required to complete an Environmental Impact Assessment (EIA) as part of their planning consent application. This covers issues such as impacts on birds and wildlife and, for offshore wind, fish and marine mammals. To ask the Secretary of State for Energy and Climate Change what long-term environmental impact assessments have been undertaken by his Department in respect of areas proposed for onshore wind farm development. Environmental impact assessments are a matter for project developers who are required to prepare and consult on environmental statements for their proposals under the relevant planning framework. The Secretary of State will consider these statements when determining schemes above 50 MW, including proposals for wind farms in Wales. From my understanding I believe Mr Hart was trying to ask if these developments continued to be monitored for impacts on birds and wildlife once built and operational. Quite frankly it is far from satisfactory to have wind farm developers hire the companies to do bird surveys for proposed wind farm developments in the first place. A bit like asking a shark to look after the fish farm or Jeremy Clarkson to set the speed limit. This is a system wide open to abuse and hard to prove when it is. ‘ All I would say is that by comparison with other renewable technologies, onshore wind is a tested, effective and affordable technology. It is the lowest-cost renewable technology available in these islands, and it produces electricity at a similar cost to first-of-a-kind nuclear power stations’. I was stunned to say the least especially when there is huge amount of independent evidence in the public domain that states that is not the case. From independent studies to websites that show wind generation and percentage of effectiveness of individual wind farms the wider electorate can easily find out that your claims are false. 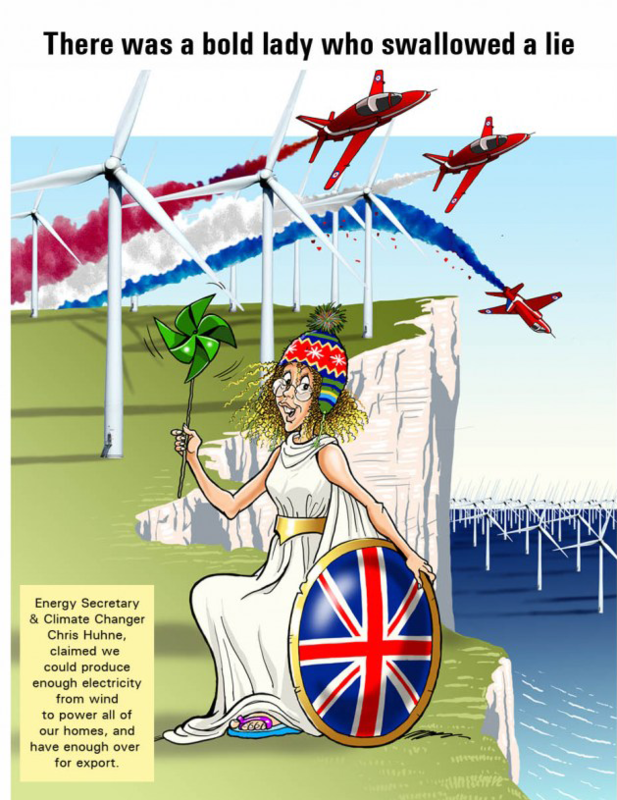 Wind power is expensive, unreliable and is costing us (the consumer) and this country money we can’t afford. It is directly contributing to fuel poverty and I, for one, object to being forced to pay through my energy bills for such a folly. 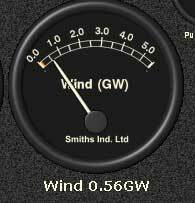 Please supply the independent data that substantiates your claims that ‘wind is a tested, effective and affordable technology’ because I can find nothing that backs that statement up. As I view wind turbines as beautiful, I hope that we will not find opposition all over the country to what is a cheap and effective source of energy for our consumers. That was an incredibly flippant, insensitive, offensive remark to make as well as woefully inaccurate. The argument against wind farms is not whether or not one believes them to be beautiful but are they worth ruining our country, our wildlife, our tourism industry, the health of those that live near them for the inefficient energy that they are? No they are not. Many people in the rural UK are feeling used and abused and like second class citizens. It seems their lives and happiness are worth nothing and the places they live are to be plundered to provide for those that live elsewhere. With other countries pulling back from wind power it would serve you well to learn from their mistakes and stop wasting our money. 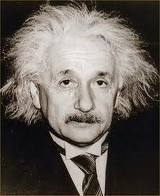 Mr Huhne you will find massive opposition to your wind farms. Research the matter before you speak as hundreds of the electorate have done. 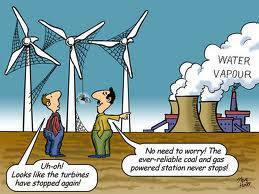 Many of us thought wind power was perhaps the way to go and then we looked into it and were horrified with what we found out. There is a fast growing unity among the people of the rural UK to stop this before it is too late. It is time you admitted you got it wrong or you will be remembered as the man who butchered the landscapes of Britain, ruined the tourism industry, plunged millions into fuel poverty, exposed her citizens to health risks all for the folly that is subsidised wind power. 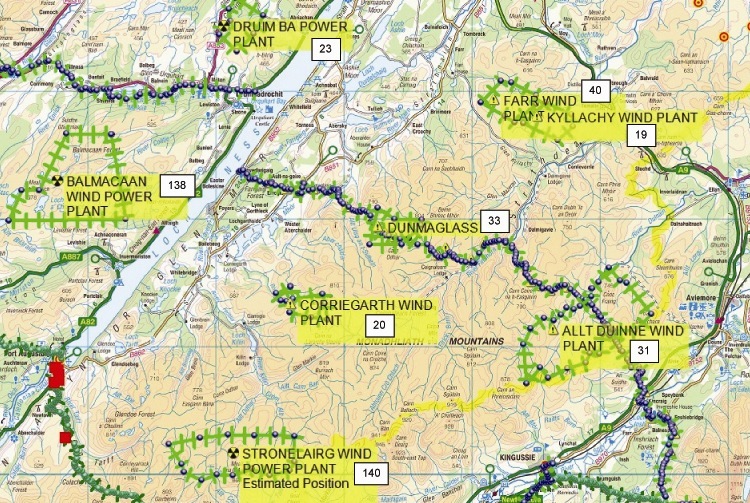 All MPs and MSPs and many councillors across the UK have now been sent a statement regarding health risks associated with living within 10km of turbines. A report in a Scottish newspaper on the 18th July 2011 states the biggest wind farm in Aberdeenshire has been shut down after the unexplained death of a previously healthy bullock with haemorrhaging around the heart – a sign of possible electrocution. http://www.pressandjournal.co.uk/Article.aspx/2357094/. I wonder what the headlines would have been if it had been a walker, cyclist or horse rider. When are you going to protect your citizens who live in these rural communities? When are you going to hear their voice? Point of Note: Check the Huhnatic’s record of voting on the Euro in 2002. He recommended that we signed up. On that alone may we assume that his fiscal judgment is somewhat lacking!! 1 Response to Huhne and Hendry-The Comedy Act? CommentThe answer is actually simple. Make the department of Energy and climate change the department of energy, and get rid of all departments to do with climate change. Which seems to have gone into reverse anyway. “The lateral arabesque. An incompetent employee is moved to another site without any pay rise, with a new and longer title for the post, to devote himself to supervise and coordinate the second copy filing produced by interdepartmental relations. (in one of the companies I worked for, that was known as being promoted to the Fallen Valley).